In 1998 Balboa converted a former kindergarten yard into a beautiful garden area. This was made possible through a grants, community business donations, and parent fund-raising. Balboa Magnet takes pride in its outdoor environment that motivates teachers, students, and parents to take learning to places outside the traditional classrooms. 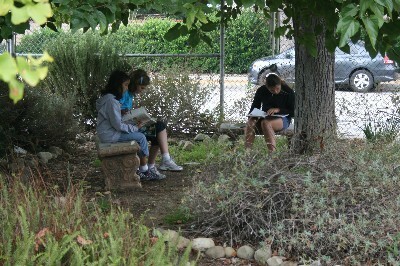 Students have access to an outdoor life lab where they can explore the relationship of life in gardens. Balboa is particularly proud of its native California plant gardens which become living laboratories where children can learn about our California environment. Plants from the five Mediterranean regions are featured in our Discovery Garden. In addition, Balboa Magnet also boasts a Life Cycle Pond. 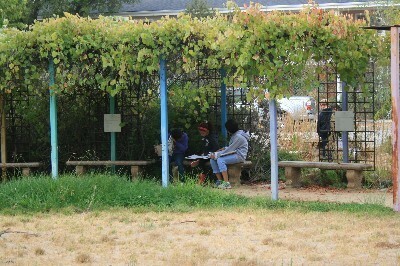 Classrooms are given small plots of land to use for gardening or studying insects. Many classes grow herbs and vegetables in their areas.